What is a thin film deposition controller? 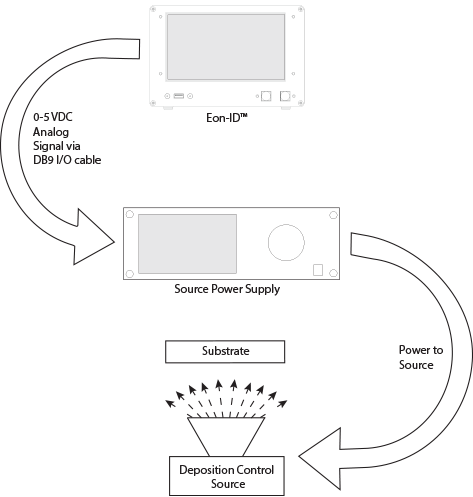 The control component in the term “controller” references the ability of a thin film monitoring device to control the power supply that is feeding power to the Deposition Control Source (see diagram below). With this feature, the user can select the Source Power Supply Signal that will be used to control and automate deposition output for a particular process. Units with control capability feature two Source Power Supply Signal outputs accessed via the I/O port. These are classified as Source 1 and Source 2 in the software.